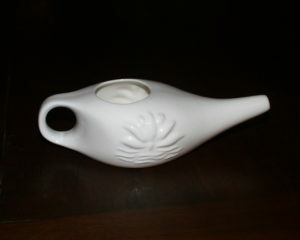 A neti pot is a small porcelain or plastic pot with a long spout, looking a little like Aladdin’s magic lamp! It is used for washing out the nose and sinuses to remove allergens, dust and mucus. 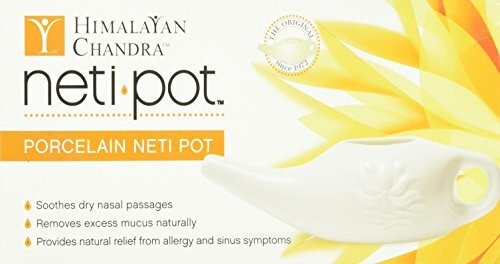 Neti pots have been used for centuries in India and have been adopted more recently by the Western world. Washing out the nose is called nasal irrigation and a mild solution of salt in water in used. The salt helps to shrink inflamed tissues and can help remove infection and this is one possibility to help stop snoring. Some people may be wary of using them at first but there are plenty of videos available for demonstrating the use of a neti pot and once you see how they are used, you will agree it is very simple. Basically you bend your face over a sink and tilt your head to one side. Then insert the tip of the neti pot into the upper nostril and let the saline solution run gently into the nasal cavities. Provided you keep your head tilted forward, it will not run down your throat. Once the nasal passages have been washed out from one side, then tilt the head the other way and run the solution through the other nostril. Snoring – it affects pretty much everyone at one point or another. 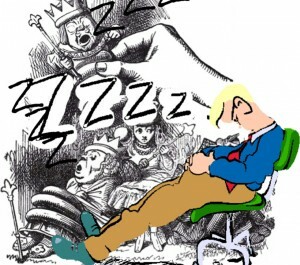 However, some people snore much more frequently than others. Persistent snoring not only affects the quantity of your sleep, but also the quality of it. This can leave you feeling fatigued throughout the day, which will leave you more irritable. It can also increase the likelihood of developing some serious health problems. Also, snoring may cause your partner to stay awake as well. This can lead to relationship problems if it isn’t addressed sooner or later. 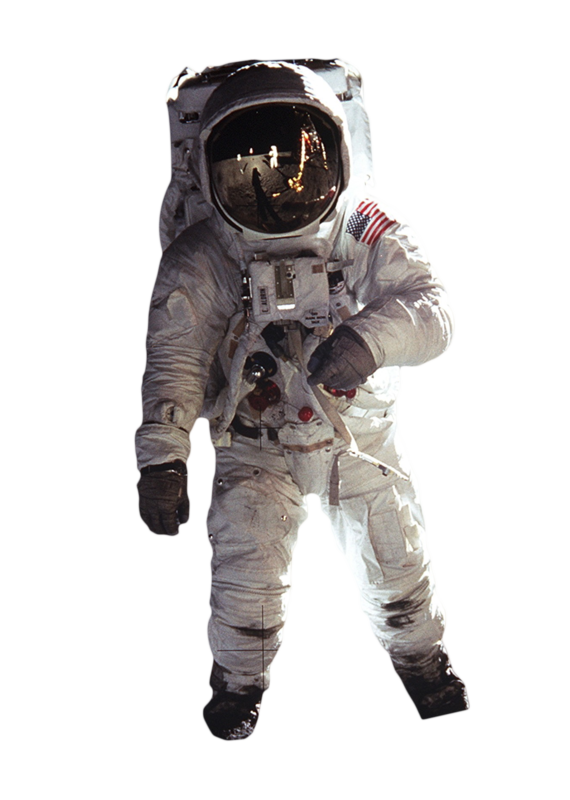 They could maybe end up wishing you were in outer space or at least inside a spacesuit! If you are tired of how your snoring is affecting your life, you’ve come to the right place. In the following article we’ll talk about possible causes for your snoring and what you can do to finally get a handle on it and stop snoring immediately – perhaps. 1. Age – As you get older, your throat gets thinner and the muscles become weaker making you more susceptible to snoring. 2. Sinus and nasal problems – When your airways are partially blocked, it is harder to breath which can create a vacuum within your throat. 3. Being out of shape or overweight – Lack of muscle tone and excess fatty tissue have been shown to contribute to snoring. 4. Sleep posture – People who sleep on their back are more likely to snore because their throat muscles relax, blocking the airway. 5. Medication, smoking and alcohol – Any of these can cause your throat muscles to relax which can lead to snoring. If you’re a snorer, chances are you can attribute it to one or more of the causes mentioned above. Having said that, it is possible to reduce, and in some cases eliminate, your snoring altogether. The first thing you are going to want to try is to make some lifestyle changes. If you feel that your snoring may be caused because you are out of shape and/or overweight, you should strongly consider diet and exercise as a means of reducing your body fat and becoming more conditioned. It would also help to stay away from drinking, smoking and any type of sleep medication or medicines that cause you to become drowsy. Aside from lifestyle changes, you may also want to establish a bedtime ritual that will help keep you from snoring. Make it a habit to stop eating and consuming caffeine at least two hours before going to bed. You may also want to set up a humidifier in your bedroom to keep the air moist, as dry air can also cause you to snore. If you have blocked nasal passages, consider using a nasal decongestant or Neti pot right before you go to bed. 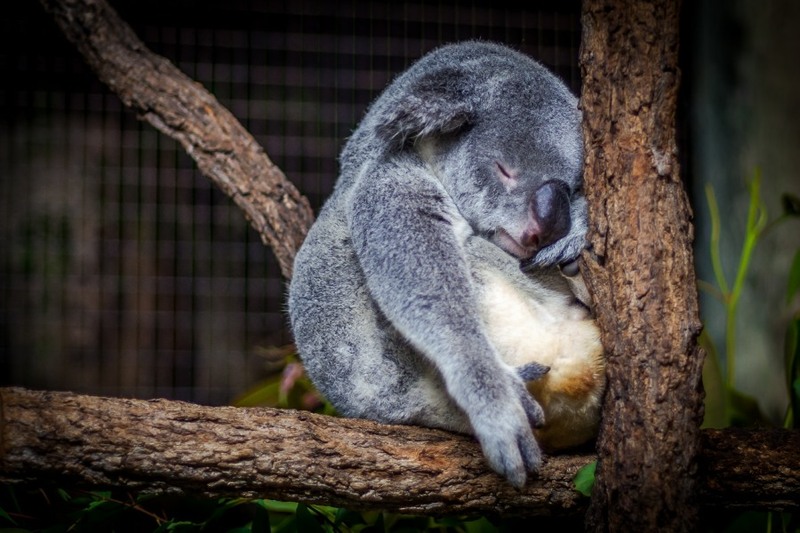 When it finally is time for you to go to sleep, position your head so that it is raised slightly because this will make it easier for you to breath throughout the night. Also, make sure not to sleep on your back. Back sleepers may want to tape a tennis ball to the back of their pyjama shirt to make sure they sleep on their side or stomach. As mentioned earlier, many of the causes of snoring can be linked to weak throat muscles. There are several throat exercises you can perform throughout the day that may help your muscles become stronger. One great exercise is to place your tongue behind your teeth and move it back into your throat. Hold this position for 3 minutes each day. Another great way to strengthen your throat muscles is to sing loudly. Depending on how good a singer you are, you may want to reserve this exercise for the shower! If none of the remedies mentioned so far have worked, it may be time for you to see a doctor. There may be some underlying, more serious condition which is causing your snoring. At the very least, your physician will be able to rule out any serious health problems. Snoring is a completely natural bodily function, however it can become a problem if it occurs too frequently and these tips can help you banish snoring to a considerable extent. If snoring remains a problem, there are further solutions that can be considered. Snoring and sleep apnea can both be a result of your throat getting blocked while you sleep because your muscles sag and your throat closes when you sleep. By strengthening the muscles in your neck, throat, and jaw, it is possible to enable your muscles to remain toned, so they don’t sag and block your airway. Exercise your neck and throat by spending a few minutes every day performing exercises designed to strengthen the tongue, jaw and neck area. Strengthening these muscles can increase your throat strength and decrease the chance that it will go slack while you are sleeping. Throat exercise will strengthen the muscles in your throat, keeping them from collapsing during the night. Try pressing your tongue against the roof of your mouth, then hold it there for two or three minutes. You can also use a balloon. First take a deep breath through your nasal passages, then inflate the balloon as much as possible. Repeat this five times. These exercises will strengthen your airway muscles. Another simple exercise that you can do to help prevent snoring is to say your vowels. Take a few minutes a few times a day to say a, e, i, o and u. Say each letter loudly and draw out the sound to last 5-10 seconds each. This will help strengthen throat muscles that are lax and may help eliminate snoring and sleep apnea. You can also give singing a try. Singing is a natural form of exercise for the muscles in the throat and soft palate. Since snoring is sometimes caused by lax muscles in these areas, strengthening them can help. So go ahead and belt out your favorite tune every day, it might give you a quieter and more peaceful night’s sleep and help you stop snoring! Tongue exercises can also be beneficial because a lot of snoring arises when your tongue falls back and blocks your airway while sleeping on your back. The best exercise consists of sticking your tongue out as far as possible and keeping it straight and then moving it from the right to the left and then up and down. Try to do this roughly 15 times a day. Add regular exercise into your routine. Exercise not only tires out the body, it helps relax your mind as well. With a good exercise routine, you may find that a more normal sleep is possible. It may keep the snoring or sleep apnea symptoms from being as severe or even not appearing at all. If exercise is not for you…. If the mouth and throat exercises don’t help, then a great way to ensure that you do not sleep on your back and cause snoring or sleep apnea to occur is to use a tennis ball to prevent rolling onto your back. You can place one in a pillow behind your back and when you roll over in your sleep, the tennis ball will make you roll back on your side. You could also sew the tennis ball into a pocket on the back of your night clothes. If a tennis ball is too large, you could try a table tennis ball instead. Snoring and Sleep Apnea – Is There a Link? Sleep apnea is a sleep disorder, which is potentially serious, in which a sleeper’s breathing stops and starts continually. It is defined as “breathing stopping entirely for 10 seconds or more” and this breath stoppage can last up to 30 seconds! It may or may not include snoring, however, the most characteristic form is where the sleeper exhibits loud snoring, which is then followed by a period or periods of silence when breathing stops or nearly stops. 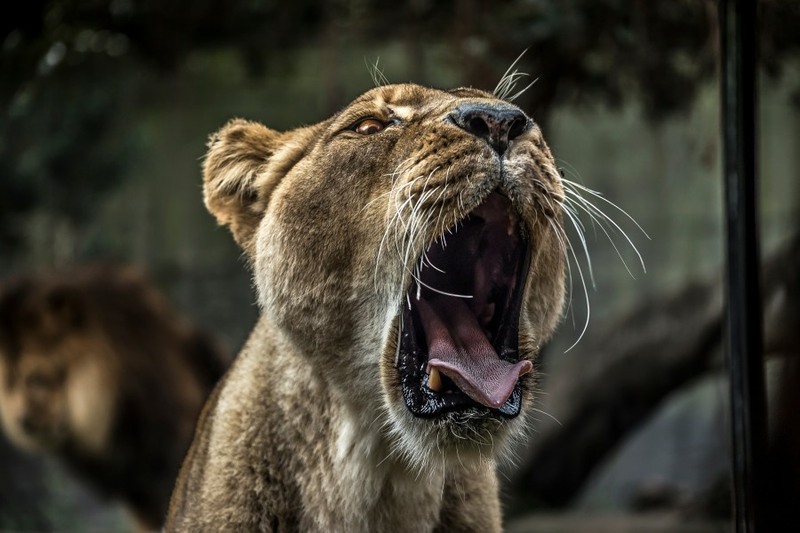 Naturally, this then wakes the sleeper – known as arousal – although the length of time the sufferer is awake may be tiny and they may not become consciously aware that they have woken. Their quality of sleep, though, is affected. Sleep apnea does not mean that you have problems with going to, or staying asleep (this is insomnia), it is about problems when you’re asleep and it can affect anyone of any age, including childen. Due to the stoppage in the breathing, your body gets less oxygen than it needs and that reduction in oxygen levels is connected to serious health problems such as heart disease, stroke, high blood pressure, fatigue, general irritability, memory difficulties, weight gain, impotency, headaches, deterioration in your job ability and falling asleep in the day, leading to driving accidents. It has also been linked to symptoms of depression. It becomes significant when the length of time not breathing is longer than 20 seconds or it happens more than 5 times an hour, and anyone who thinks they have it should see their medical adviser. It can be a dangerous condition because of the health risks, and affects millions of people. Snoring may often be the first sign of this problem, which has led to it being termed the snoring disease because this is one of the symptoms. Snoring is due to a reduced airflow, whereas sleep apnea is a complete, though temporary, obstruction of breathing due to airway blockage. This is obviously more more serious. This problem can affect anyone but there are certain factors that could increase the risk of developing it. It is more common in men than women and in middle-aged and overweight people. This is because men may be more likely to have narrower air passages than women, and an increase in weight can also lead to narrower air passages. As people get older, their muscles may lose tone (become more floppy) which can lead to blockages in the airway. It can be made worse by smoking and alcohol intake and also by taking sleeping tablets. If you snore and you also find that you are excessively tired during the day, maybe falling asleep at work, or while talking to someone, or find it hard to stay awake while driving, then you should consider getting investigated for sleep apnea. Some other symptoms include not waking up refreshed after your night’s sleep, or being woken up by choking spells during the night, or because you are gasping for air. Sometimes it is a sleeping partner who notices this, as the sufferer may not remember this in the morning. Sleep apnea is treatable but must first be diagnosed. Many hospitals now have sleep apnea clinics, to which your doctor can refer you. There are two types of sleep apnea. The first, which is called central sleep apnea, is fairly rare and is caused by a problem in the brain. This is less likely to be accompanied by snoring. The second, termed obstructive sleep apnea, as its name suggests, is caused by an obstruction. This is more likely to also cause snoring. It is possible to suffer from both. Some simple remedies that may help you stop snoring and reduce the problem of sleep apnea are to lose weight, reduce or stop alcohol intake, sleep on your side and sleep with the head raised a bit more than usual (maybe another pillow). Stopping smoking, while not simple, may also help. Best Way To Stop Snoring! Are you looking for the best way to stop snoring? Snoring is a very common problem and many people suffer from it. It can jar you from your sleep, disrupting it, and that of your bed-mate and even people in other rooms. This can have health effects by preventing you reaching deep, restorative sleep, meaning that you can suffer from fatigue and irritability the next day, as well as a dry mouth and possibly a sore throat. Yet those who are not affected often do not understand the problems it can cause. Even when close friends or relatives describe the difficulties they face with their own snoring or that of a partner, they are often met with smiles, shoulder shrugs or disbelief that snoring could cause such upheavals. Yet it can cause severe family problems, and lead to family break-ups, as the spouse is unable to sleep in the same room as the snorer. 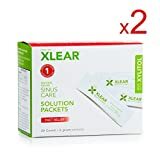 If you are looking for the best way to stop snoring read the testimonials from satisfied customers try the sample exercise and see if this might be the best way to help you stop snoring completely, with no pills, no gizmos, no surgery! You may even be able to stop snoring immediately. Snoring is noisy or troubled breathing during sleep and is both a sleeping disorder and a breathing problem. It may be a sign of sleep apnoea (apnea), which is potentially fatal as the snorer actually stops breathing for extended periods of time, so that you have periods of heavy snoring, followed by periods of silence where the breathing has stopped or nearly stopped. This is not only a health problem for the snorer but can be very disturbing to a sleeping partner who may lie awake waiting for the snorer to start breathing again! The snore can happen on the in breath or the out breath and the problem can range from the level of “mild nuisance” to a level that can, literally, disturb the neighbours or be heard out in the street! What health problems are associated with snoring? Snoring is linked to sleep apnea (apnoea), which is related to cardiovascular (heart) disease, hypertension (high blood pressure), obesity, asthma, depression and anxiety and can be linked to a history of smoking and sinus conditions. Snoring can also be a sign of a medically serious problem called Obstructive Sleep Apnea (OSA) with complications that may include hypertension, heart attack and stroke. It is often associated with middle age and being overweight. Snoring is more common in men than in women but is not limited to overweight men. While snoring by itself may be more of a social than a medical problem, by causing sleepless nights, it is wise to consult your medical adviser for severe snoring problems, as these can also destroy relationships as well as being linked to serious health problems or severe fatigue during the day. Note: Sleep deprivation is different from insomnia. Having insomnia means you have problems going to sleep or staying asleep, whereas sleep deprivation caused by snoring or sleep apnoea has nothing to do with wakefulness. You may not even realise that you are being woken many times a night by sleep apnoea (apnea) and so may not realise that your constant tiredness is due to sleep deprivation. Snoring is caused by blockages in the airways (the mouth and the nose). If the nose is blocked or partially blocked (perhaps by a cold) or becomes too dry, breathing automatically switches to the mouth. If the tissues of the soft palate in the mouth become too relaxed, they soften into the mouth creating a partial blockage and then they vibrate with the passage of air into and out of the lungs. It is this vibration that causes the snoring noise. There are a number of possible reasons for people snoring, some of them temporary (for instance if you have a blocked nose from a cold) whereas others may be less temporary (perhaps due to overweight). How can snoring be stopped? There have been many so-called “cures” for snoring through the years, including garlic gargles and tennis or table tennis balls sewn into the back of the pyjama jacket to stop you lying on your back. The British Snoring & Sleep Apnoea Association (BSSAA) decided to try out the top ten with 2,000 volunteers, but not one of the remedies worked – the snorers kept on snoring. Because there are a number of reasons for snoring, it’s important to determine WHY it is happening and then choose the correct method to address the problem. For instance, if you have polyps in your nose, then it is unlikely that certain methods that would work for others will work for you. For some people, losing weight or cutting out alcohol or cigarettes or sleeping on their side may be sufficient to stop snoring. This is why it is important to check out with your medical adviser as to what might be causing your snoring, especially if you may be suffering from sleep apnea (apnoea). However, many of the reasons for snoring all come down to one cause – lack of tone in the muscles of the mouth. In other words, the muscles in our mouths are a bit slack. We do not snore during the day, because we have sufficient tone there to keep the airways open but when we are asleep, our whole body relaxes, including the muscles in our mouths and we have less “tone”, allowing the soft palate to reduce the airway in our mouth, leading to the familiar snoring. There is now a program that will help you to open up your throat with a series of 3 minute exercises that may even help stop you snoring on the first night! 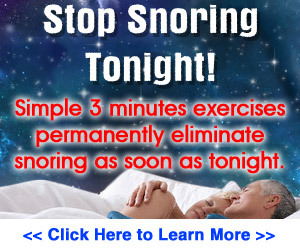 Why is this program the best way to stop snoring? This program was created by a snorer and his wife, who had been a classical singer and who now teaches singing. Christian Goodman snored for 20 years. His snoring was so bad that he and his wife had to sleep in separate rooms and he spent years of research trying out various remedies for snoring but not one of them worked. From his research, he realised that snoring was always caused by some kind of a block in the breathing passages and that any “cure” tried to remove that block. When he explained this to his wife, she told him that this was what she did with her student singers all the time – helped them strengthen their breathing passages to keep them clear and open for singing! Christian Goodman worked with his wife learning these exercises and changing them round to address his problem areas. Within 3 weeks of starting the exercises, he had completely cured his snoring problem. No drugs, no surgery, no gadgets or gimmicks, just exercises that will help strengthen your breathing passages to keep them open all night long and let you get the sleep you (and possibly your sleeping partner) so desperately need. Christian is so sure that these exercises work that he provides an example of an exercise that you can try out immediately, for free. The sample exercise opens up the throat and helps to remove one of the causes of snoring – a tense jaw. There are 24 exercises in total, aimed at different parts of your breathing apparatus and all designed to help you stop snoring. So if you are looking for the best way to stop snoring, read the testimonials from satisfied customers try his sample exercise and see if this might be the way to help you stop snoring completely!